Data recovery has been an industry since shortly after IBM computers became widespread in the 1980s. As soon as people began storing data on hard drives, hard drives began failing and data began to be lost. Thereafter, an industry was born. As someone who has been a part of that industry for many years, I have seen myths come and go. Some of those myths seem to hang around while others go the way of the Dodo. As we hear quite a number of these myths here at Dave’s Computers, I thought it time to quash them. So here are the most popular data recovery myths that we hear in our Hillsborough store. First a quick overview of a hard drive. A hard drive is the older form of storage that uses moving parts. Not to be confused with SSD, which is a solid state drive. SSD are completely different and are not discussed here. A hard drive has platters and heads as well as a circuit board and a motor. Data is stored on the platters, a bit like a continually rewriteable DVD. The heads do the reading and writing and the motor spins the platters. There are multiple platters and heads within a single hard drive. The theory behind this myth is actually sound. It is the practice that lets it down. 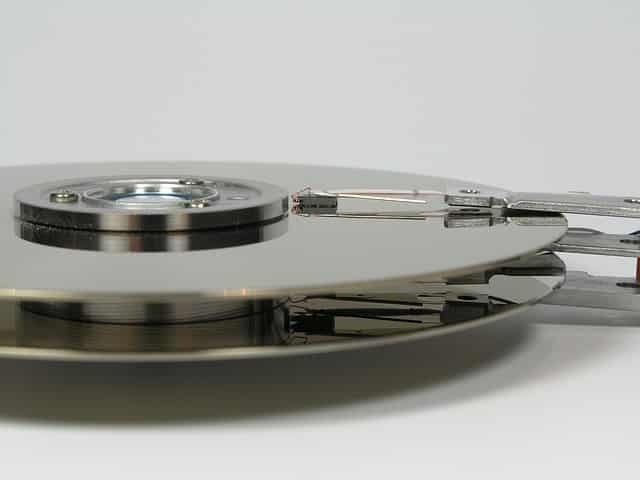 Stuck platters or heads used to be a very common cause of data loss in hard drives. The theory is that if you freeze the drive, the metal within it contracts freeing it up. 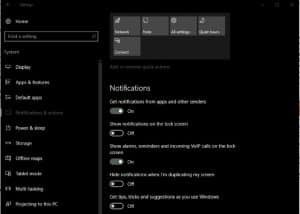 Then, you can quickly connect it to a computer and copy the data across before it thaws out too much. In practice, this very rarely works. A domestic freezer is way too moist an environment to place any delicate piece of electronics. Water and electronics do not mix, which is why this technique rarely works. Find somewhere with dry ice and you might be lucky, otherwise, don’t bother. Impact mechanics is the technical term for hitting something to make it work. If the platter or heads are stuck, impact mechanics can free them up. However, it is all too easy to hit it too hard and scratch or crack the disc, break a head or something else. If you do any of these things, that repository of all your data instantly becomes an expensive paperweight. Hitting a hard drive is the worst thing you can do aside from putting it in the freezer. Not only does it not miraculously bring a hard drive back to life, it will also prevent us from recovering any of your data. This is a popular trick in TV shows. Remove platters in a broken hard drive and put them in a working drive and you instantly recover all the data. While technically possible to remove platters, it isn’t something that can usually be done. Platters and heads are unique to that specific model of hard drive, so not only do you have to have a data recovery lab, you also need the same hard drive to donate the platters to. It takes truly expert technicians to safely remove a hard disk platter without damaging it. It isn’t something the guys here at Dave’s Computers can do or would ever suggest doing. In fact, as far as I know, only enterprise-level experts or the manufacturers themselves would even consider this. If a hard drive fails and it is still under warranty you’re covered right? The manufacturer can fix the drive and save the data. Wrong. The hardware itself is covered under standard warranties but the data is not. All storage manufacturers will say the same thing. Hardware is covered but any data loss or damage is outside the warranty. So yes, you can return the hard drive to the store or the manufacturer for repair or replacement but don’t expect it to contain any data. As with anything, not all data recovery software is created equal. Ironically, some software both free and paid-for will overwrite some of your data to save it. Most of the time this doesn’t work. To be truly effective, data recovery software needs to write as little as possible to the drive to save as much data as possible. Check reviews and do your research if you want to try free software like this. Make sure any software you use writes to the disk as little as possible. Here at Dave’s Computers, we use some pretty advanced data recovery software. It is designed to touch the damaged drive as little as possible in order to preserve that data for recovery. It makes no sense to overwrite it as it makes recovery more difficult! Data on a hard drive is written to the platter by the head. It contains an index link segment and the data itself. The index link tells your operating system what piece of data is contained within that segment. When you format a hard drive, you just remove the index link and not the data itself. Only when you overwrite the drive does the data actually disappear. So if you accidentally format a hard drive, the data itself may still be present. As long as you don’t do anything else to the drive, our data recovery experts should be able to rescue at least some of your lost data. It is true that you may be able to recover your own data, but it isn’t guaranteed. If you are computer literate and know how a hard drive works and data is stored, it is entirely possible to do it yourself. However, much like you would get an engineer in to service your furnace or A/C or take your car to the shop for a service, sometimes it’s just better to pay a professional to do it for you. Not only do you get the peace of mind of a professional working on your case but we can often do it faster and more effectively. In the end, it comes down to one simple question. How much is your data worth to you?